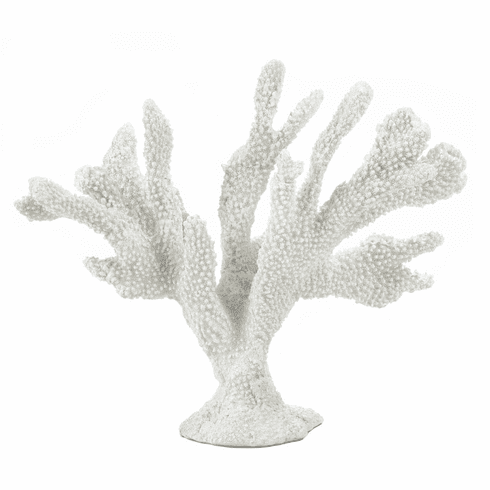 Adding a splash of seaside style to your home is as easy as setting this pretty coral-inspired statue on your shelf or mantel. The spiny sprigs make an interesting and textural accent that will liven up your room. Item weight: 2 lbs. 12" x 4" x 9½" high. Polyresin. UPC: 849179023232.